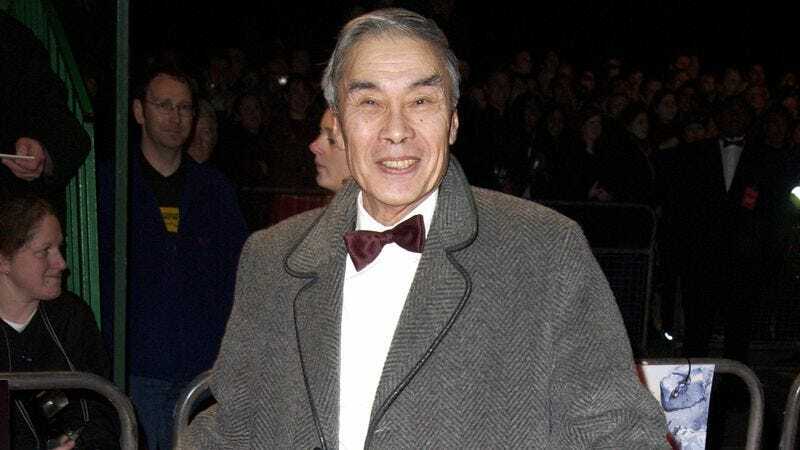 Character actor Burt Kwouk—best known for his role as Inspector Clouseau’s combative manservant Cato in seven Pink Panther films—died today, the BBC reports. “Beloved actor Burt Kwouk has sadly passed peacefully away,” the actor’s agent confirmed in a statement. “The family will be having a private funeral but there will be a memorial at a later date.” He was 85. Kwouk was born in Manchester, U.K. but was raised in Shanghai until his late teens, when he moved back to his country of birth. After having been “nagged… into acting” by a girlfriend, he landed his first onscreen role in 1957 on an episode of the TV series McCreary Moves In. This precipitated a long and successful career on TV and in films—Kwouk had racked up more than 140 screen credits by the time of his last appearance on the series Last Of The Summer Wine in 2010. He also made appearances in three James Bond movies, including 1964’s Goldfinger. That same year, he originated the role of Cato Fong opposite Peter Sellers in Blake Edwards’ classic comedy A Shot In The Dark, before returning to it in six subsequent Pink Panther films. “They were always a lot of fun because after a while I got to know Cato quite well and I liked Cato because he never argued with me and he never borrowed money from me. I liked playing Cato quite a lot,” he said of the role in a 2011 interview with the BBC. The Chinese-British actor was awarded an Officer Of The Most Excellent Order Of The British Empire in 2011 for his services to drama. He is being remembered fondly today by friends and fans like director Duncan Jones (Moon), who tweeted his gratitude for Kwouk’s generosity with his time.